The rate of students who haven’t repaid their student loans in US public colleges remained steady between 2013 and 2014. In 2014, 11.3% or 303,389 students in public colleges out of 2,678,811 who entered the repayment phase in the given fiscal year didn’t pay their debt within next two years. The latest report of NCES sheds light on the rate of students who default their student loans within a 3-year period. 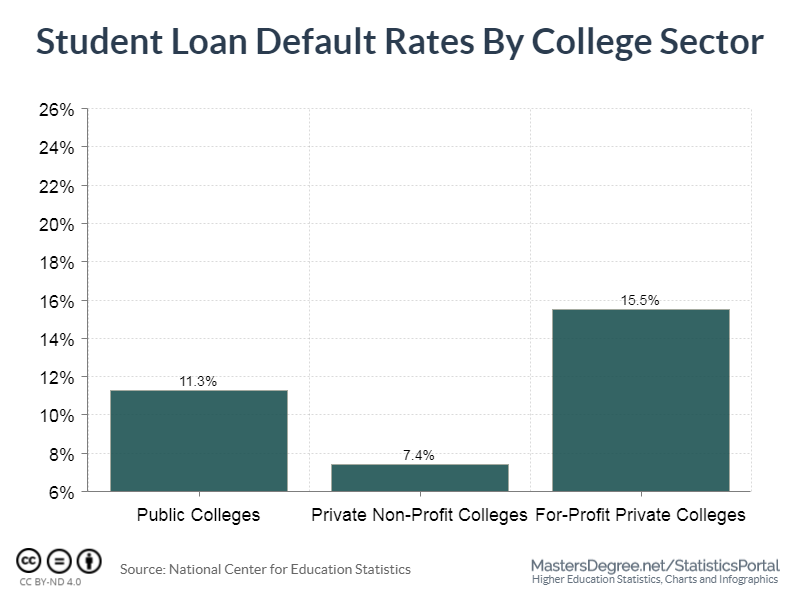 It reveals that in Private for-profit colleges the rate of student loan defaults is still the highest compared to Private non-profit and public colleges. In these settings, the percentage of students who weren’t able to repay their debts went from 15.8% in 2012, 15% in 2013 and 15.5% in 2014. 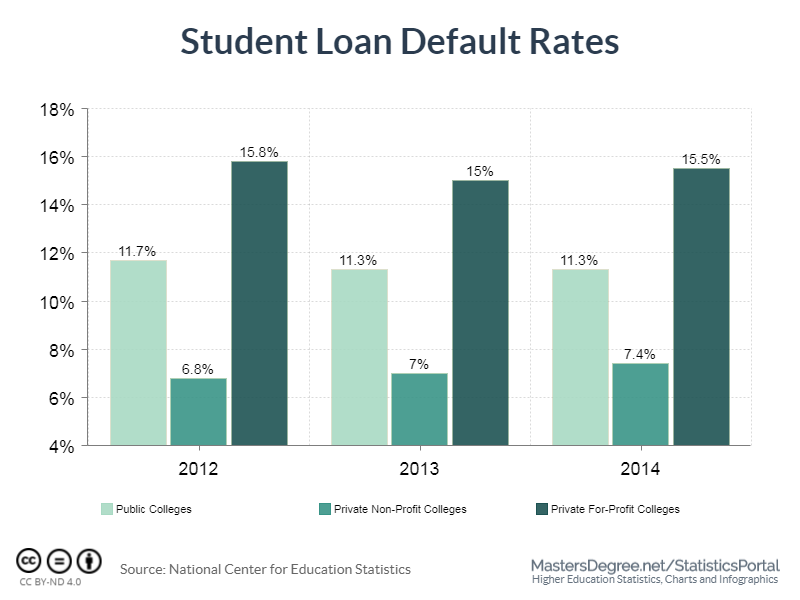 By contrast, in Private non-profit colleges the rate of student defaults raised from 6.8% in 2012, to 7%in 2013 and up to 7.4% in 2014. Meanwhile, in public colleges the student loan rate in 2012 was 11.7% and the next two years stood unchanged at 11.3%. 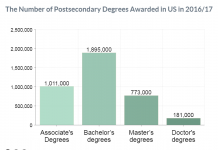 Between 2010 and 2013 the total number of college students who entered the repayment phase increased, but in 2014 the number slightly dropped. 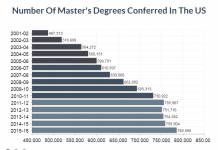 Public colleges counted for the most of this incline since they share the highest number of college students.In 2010, exactly 1,922,773 students at public colleges entered the repayment phase and four years later the number increased dramatically reaching 2,678,811. 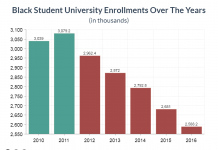 This was not the case with students at For-profit college students.The number of them who entered in repayment phase went from 1,270,965 in 2012 to drop at 1,250.242 in 2014. 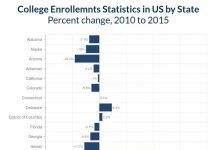 Non-profit colleges which count the smallest number of students enrolled experienced a solid increase in the number of students entering this payment phase. They climbed from 879,269 students in 2012 up to 1,108,120 students in 2014. 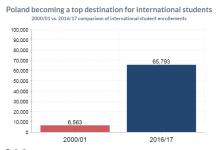 On the other hand the number of students who failed to give back the money by the end of the second year following the fiscal year they entered the repayment phase decreased. In 2010, 600,545 or 14.7% of students couldn’t pay the money they had borrowed, while in 2014, 580,671 or 11.5% of students failed to do so. 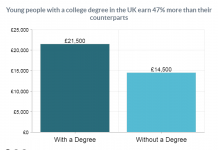 These figures were different at each of the college sector. 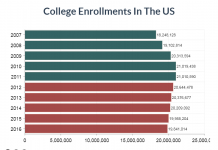 In 2010, 13% or 250,661 public college students couldn’t pay their debt within the next two years following their entrance in the payment phase. Four years later the student default rate decreased at 11.3%. In For-profit colleges this percentage remains higher though it descended from 21.8% in 2010 down at 15.5% in 2014. During the same period Non-profit colleges recorded the lowest student loan default, from 8.2% in 2010 to 7.4% in 2014. In 2010, 4,082,570 college students applied for a loan, while in 2014 the number grew up at 5,047,954. During the same period, the number of those who didn’t pay the debt decreased from 600,545 in 2010 to 580,671 in 2014. 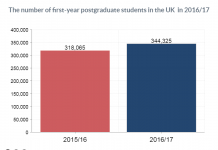 This is to say, more students are now seeking to get a loan but less likely to pay their loans within three years of taking one. The student loan default rate is one of the metrics to measure if a higher education provider is eligible to receive federal aid funds. If one of these institution doesn’t meet certain loan student defaults limits regulated by the law the US Department of Education is in charge to take disciplinary actions against these universities and colleges.